Beautiful lake views from every room at this property! 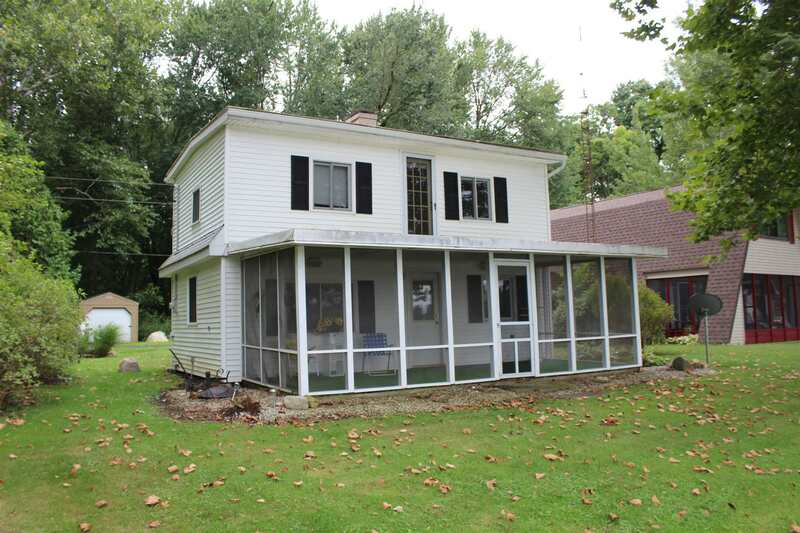 Located on West Otter Lake, a part of Steuben County's wonderful 101 Lakes! West Otter is a peaceful 118 acre fishing lake just minutes from 1-69 and downtown Angola. Open concept main level with eat in kitchen, living room, half bath and huge 10x24 screened porch. Upstairs are a full bath and two bedrooms. Wake up in this master bedroom to views stretching the entire length of the lake. A little TLC and your personal touch will make this a fantastic home, weekend getaway or escape. Property comes fully furnished! This lake home has a gradual sandy lakefront & vinyl pier situated on level lakefront lot! Plenty of parking with the 108x134 back lot complete with storage shed, water access and plenty of wood for future bonfires! Plenty of room to build a pole barn or garage. West Otter Lake is a popular ice fishing lake for year round fun!